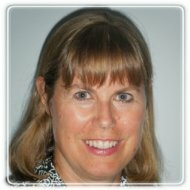 Burlington Therapist: Janet Warren - Therapist L7N 3P3. Janet is a Family Physician with a special interest in mental health and counselling. She has 20 years experience counselling patients with a variety of mental, emotional and spiritual problems, and enjoys the privilege of walking alongside people in their healing journeys. Her approach is holistic (body-mind-spirit) and she employs a variety of therapies as appropriate. Dr. Warren also manages medication for uncomplicated mental illnesses (along with the patient's own physician). She is also excited about her current studies in theology.